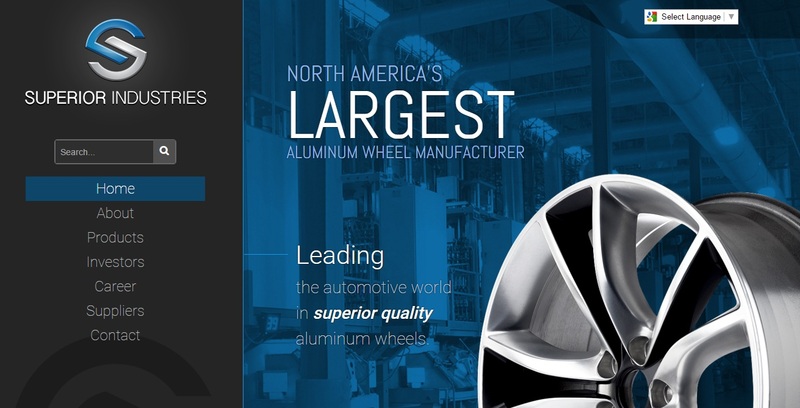 SOUTHFIELD — Superior Industries International Inc. (NYSE: SUP), the supplier of aluminum wheels to the auto industry, reported net income of $8.1 million or 9 cents a share in the second quarter ended June 30, up from a loss of $7.3 million or 41 cents a share in the same quarter a year earlier. Revenue was $389 million, up from $240.6 million a year earlier. For the six months, net income was $18.4 million or 16 cents a share, compared to a loss of $4.2 million or 28 cents a share in the first half of 2017. Revenue was $775.4 million, up from $414.8 million a year earlier. The discrepancy in earnings per share stems mainly from dividends on preferred stock in 2018 that wasn’t paid last year. On May 30, 2017, Superior closed the acquisition of its European operations, Superior Industries Europe AG (formerly Uniwheels AG). As a result, the company’s reporting for the second quarter and year-to-date 2017 includes one month of consolidated financials for the month of June 2017. This compares to 2018, which includes consolidated results with the European operations for the entire second quarter and year-to-date periods. Wheel unit shipments were 5.6 million in the second quarter of 2018, an increase of 46.3 percent, compared to second quarter unit shipments of 3.8 million in the prior year period. The increase in unit shipments was primarily due to the inclusion of two additional months of the European operations, which drove 1.7 million units of improvement. Unit shipments in North America were relatively flat. Wheel unit shipments were 11.1 million for the first half of 2018, an increase of 67 percent, compared to unit shipments of 6.6 million in the prior year period. The increase in unit shipments was primarily due to the inclusion of an additional five months of the European operation’s units, which drove 4.4 million units of improvement, as well as slightly higher unit shipments in both regions. Stebbins said the company now expects 2018 sales to be between $1.52 billion and $1.56 billion, up from $1.45 billion to $1.5 billion in earlier guidance. The expectation for adjusted earnings before interest, taxes, depreciation and amortization is now expected to be $190 million to $205 million, up from $185 million to $200 million in earlier guidance. The adjusted EBITDA figure also excludes merger, acquisition and integration expenses and the change in the market value of preferred stock derivatives.